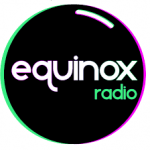 Equinoxe Radio live broadcasting from Belgium. It is one of the most famous online radio station on Belgium. Equinoxe Radio Discovery is an associative radio, expression, cultural association and continuing education, recognized as such by the French Community of Belgium. In 2013, Equinox celebrates 20 years of antenna!